Our R&D team comprises qualified chemists and engineers. The mission of R&D team is to continuously upgrading the quality of the existing products and formulate new products to meet the ever changing market demands. Our R&D activities are gearing towards providing customised lubricants for specific needs of customers and to improve operational efficiency of cost effectiveness. Product innovation and upgrading in specialty chemicals are the other area of our applied research. 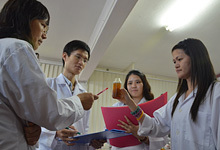 We have five laboratories, four in Singapore one in Vietnam for R&D and quality assurance. Two of our laboratories are equipped with Inductively Coupled Plasma Atomic Emission Spectrometers (ICP-AES) for the analysis of metal elements. 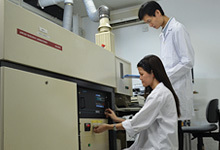 These ICP-AES equipment enhance our research and development capability. Our marketing and technical service teams continuously work with customers to identify areas of improvement. 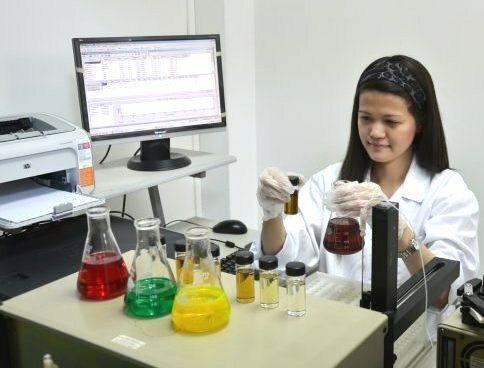 With this information input our R&D personnel will improve or design and formulate new products to meet customers’ unique requirements.